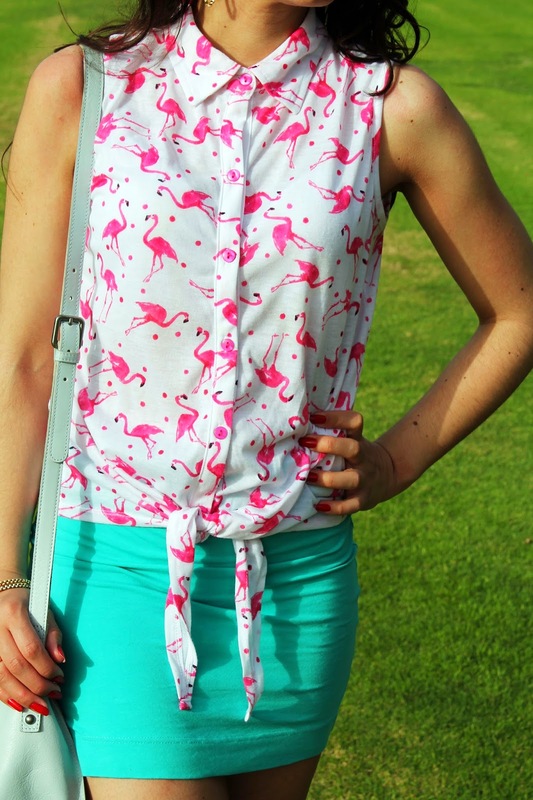 I love flamingos – they’re pink, they’re classy, they’re kitsch. I love them even more after finally watching the adorable animated film “Gnomeo & Juliet” – Featherstone the Latino flamingo is A-MA-ZING. 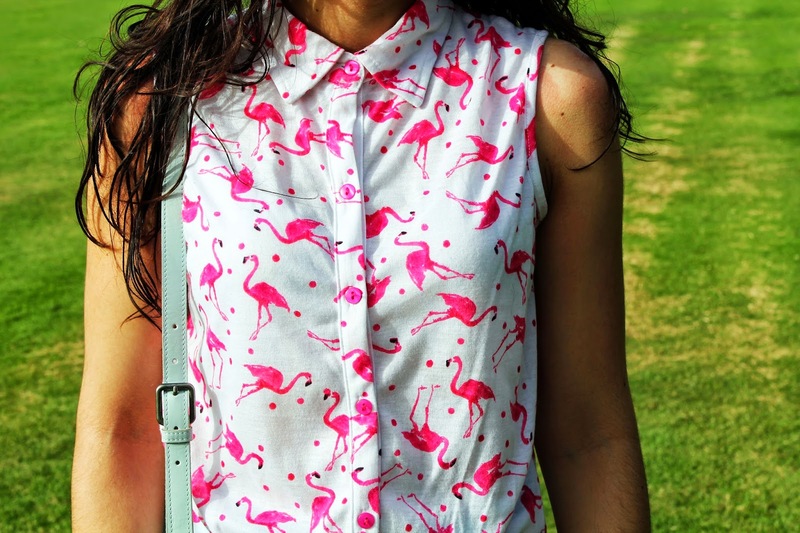 They have their moments in fashion, but apart from my ASOS t-shirt I’ve never been able to find a flamingo print that was perfect – until now. 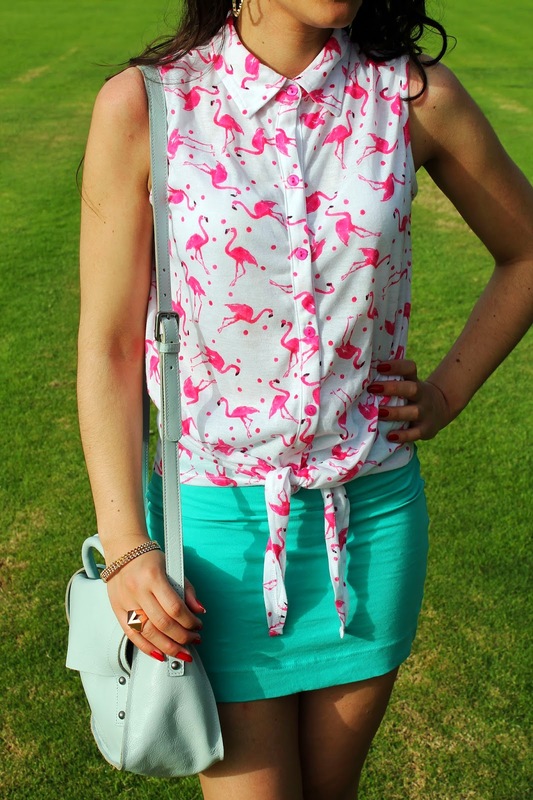 There’s a fine line between kitsch and tacky, which is the problem with flamingos. This little tee from Primark however is a total cutie – the shade of pink is perfect and the illustration is sweet and classy. I liked it from the minute I saw it and it’s more than likely going to be one of my summer favourites. The only thing I wasn’t keen on is the tie detail – I’m not a 90’s kid! Less is more sometimes and a simple blouse would have been perfect – but it goes to show how much the print won me over. Top, Primark (seen here). Skirt, H&M (seen here). Earrings (seen here) and ring, & Other Stories. Set of bangles, gift (seen here). Bag, NW3 (seen here). Shoes, Zara (seen here). And this marks the beginning of me wearing my favourite spring/summer colour combination for the next few months – pink and mint! Note on the satchel: apart from being the cutest, most charmingly vintage-looking shape ever (I once saw an older man on the tube carrying a super old satchel which was the exact same design as my baby) I was obsessed with the colour. At first I thought it was a light shade of mint but it turns out it’s light baby blue (NW3 refers to it as ‘lake blue’). Obviously I’m nuts about it anyway – and it still works with mint, right? 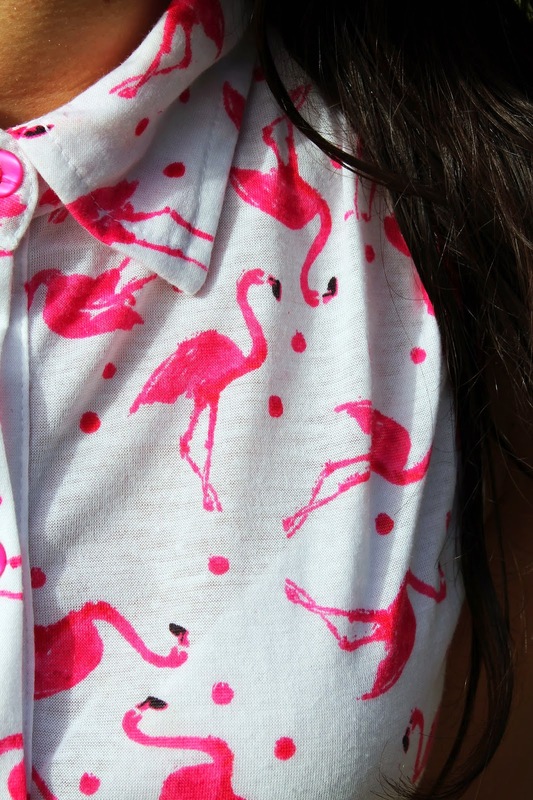 My next flamingo mission is to find the perfect pair of earrings (fear not, I won’t be wearing them with this top – I think…) – I’ve already found the perfect necklace which I’ll hopefully blog about soon. If only this amazing curly tree were in London! These pictures were taken just over a week ago in Dubai after a beach session in Jumeirah beach – hence the messy, not-really-a-surfer-girl hair! I think I may have found my favourite holiday look – if there’s a next time, I’ll swap the kitten heels for sandals and hopefully have more of a golden tan. Photographed near Jumeirah Beach, Dubai, UAE on April 10th 2014.